Can Andy Murray do it again? Strawberries and cream, Pimms and Analytics, where else would you find such a combination other than at the oldest, most prestigious tennis tournament in the world, Wimbledon. As we immerse ourselves in the last week of another thrilling tournament, we acknowledge not only the brilliance shown on court, but the complexity of Analytics going on behind the scenes. Wimbledon is a first of its kind in the way that it embraces new technology with the promise of even deeper insights generated even faster than ever before. Over the past few years Wimbledon has invested in teaching a cognitive system, in effect, to become an expert in tennis. Consequently, Wimbledon has evolved into the perfect showcase of what can be done with limitless, good quality data fed into an intelligent cognitive computing system. People have been gaining insights by using more than 40 million data points for years, but how important is an insight if it doesn’t generate impact? What has been achieved at Wimbledon is an overhaul of what we expect possible from a source of data, in terms of its insights, value add, and compendiousness. Cognitive computing now allows Wimbledon Staff and reporters to ask questions such as “How does Andy Murray’s serve compare to last year”, posed in natural language and get the most relevant response in real-time, ready to be shared across all digital and conventional platforms to Wimbledon’s vast audience. Not only is Wimbledon an exhibition of analytics, but of what can currently be achieved with an interactive, well designed social platform. 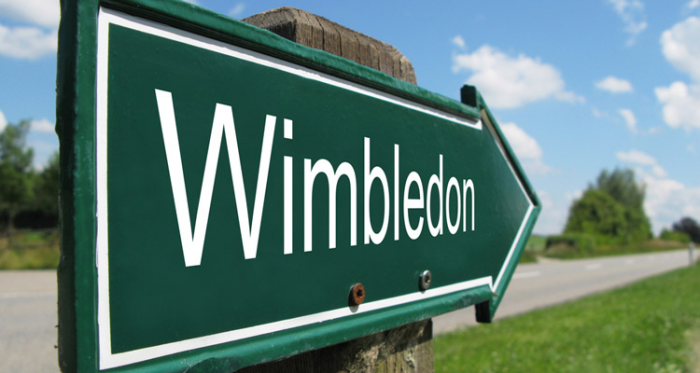 Wimbledon can be followed via desktop, tablet or smartphone with the aim of reaching as many people as possible. The deep insights gained from analyzing the data generated on the court combined with the way social media makes it available to so many people in real time, means individuals can commentate on a match and evaluate a player’s performance on any mobile device - something thought not possible just a few years ago. Beyond this, cognitive systems can understand and identify the most influential voices on social media, trends and topics of most interest to fans and recommend communications for maximum engagement. So not only is it generating the insights, but recommending when, where and to whom to share them with…Might Sue Barker be out of a job soon?! Perhaps not, but she will have even more insights at her fingertips. Beyond providing an exceptional fan experience and the most relevant insights to journalists, Wimbledon also enables both coaches and players themselves to gain access and insights in order to evaluate their matches and opponents, often quoting the statistics in post-match interviews - real accolades to data quality and the analytics. Wimbledon is a world leader on and off the court! Now all we need is Andy to lift the trophy on Sunday!